Starting at an early age of six, this legend has enthralled the audience with over 25000 concerts around the world. That's the legend of Mangalampalli Balamurali Krishna, to start with. He was born in Sankaraguptam, East Godavari District, Madras Presidency (now a part of Andhra Pradesh state) for a musician couple. Having lost his mother when he was a infant, he was raised by his father. His father spotted the talent right away and put him under the tutelage of Parupalli Ramakrishnayya Pantulu, a direct descendant of the shishya parampara of Tyagaraja. Under his guidance, the young Balamuralikrishna learned Carnatic music. The rest his history. His first full-fledged concert was at a Thyagaraja Aradhana in Vijayawada and there was no stopping after that. By the age of fifteen he had mastered all the 72 melakartha ragas and had composed krithis in the same. Not merely sticking to vocals, he let his creative talents out by playing other instruments too. He started playing the kanjira, mridangam, viola and violin. He also accompanied various musicians in violin and is also noted to give solo viola concerts. The charm with the way he performed easli made him a star. His musical journey has been highlighted with his spirit of experimentation and boundless creativity. He has many ragas credited to him such as Ganapathi, Sarvashri, Mahati, Lavangi. Notably his creations Mahathi, Lavangi, Sidhdhi and Sumukham have only four notes, while other ragaas such as Sarva Sri, Omkaari, Ganapathy have only three notes.  By incorporating "gati bhEdam" in the "sashabda kriya", thus throwing open a new chain of Tala system, Balamuralikrishna was an innovator of the tala system. With over 400 compositions to his credit and as one of the very few people to have composed in all the 72 Melakarta Ragas, this legend’s work encompasses every facet in Carnatic Music that includes Varnas, Krithis, Thillanas, Bhavageethas. He gave his authorisation to found "Academy of Performing Arts and Research" in Switzerland and is also working on music therapy. He established the 'MBK Trust' with the objective of developing art and culture and for carrying out extensive research into music therapy. A dance and music school, 'Vipanchee' is a part of this Trust. Balamuralikrishna has sung in several films in Telugu, Sanskrit, Kannada and Tamil and went on to win National awards for ‘Best Male Playback Singer’ for Hamsageethe and ‘Best Music Direction’ for Madhyacharya. As a Carnatic vocalist, musician, multi-instrumentalist, playback singer and composer, he has won numerous awards. Sangeet Natak Akademi Award, Padma Vibhushan, the Mahatma Gandhi Silver Medal from UNESCO, Chevalier of the Ordre des Arts et des Lettres by the French Government, Sangeetha Kalanidhi, Sangeetha Kalasikhamani, Sangeetha Kalasarathy, Natya Kalasikhamani and Lifetime Achievement Award by the Global Indian Music Academy Awards highlight the list. This true legend has accompanied many great musicians in illustrious career. He accompanied Pandit Bhimsen Joshi, and gave jugalbandi concerts with Pandit Hariprasad Chaurasia and Kishori Amonkar, among others. He appeared as featured soloist with an award-winning British choir, performing the "Gitanjali Suite" with words from Rabindranath Tagore's Nobel Prize-winning poetry and music by "Dr. Joel", the noted UK-based Goan composer. Such was his versatility in music that etched an incredible mark in Indian music the world over and will always remain as a creative genius and a musician par excellence. 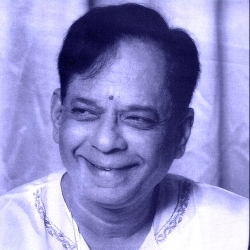 This is a SoulPrints tribute to Mangalampalli Balamurali Krishna.